We are the one stop shop for all your lake or pond needs. 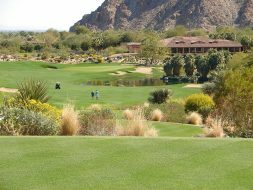 We specialize in maintenance, design, and construction of man-made lakes in arid environments…where lakes are not supposed to exist! 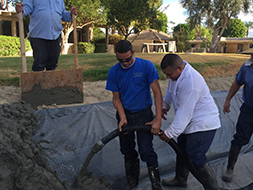 Our scientific approach to managing lakes and ponds is what separates us from our competition. By managing aquatic plants, plankton, and fish populations – we emulate Nature’s way of balancing lakes and ponds. We are a very environmentally friendly company. 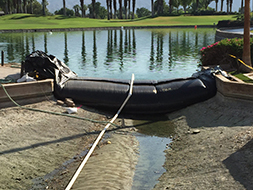 We physically remove unwanted plant life, algae, and debris to reduce the overall nutrient content of your lake. This approach costs more but is more effective and pays for itself over time. We do use chemicals but only when absolutely necessary. 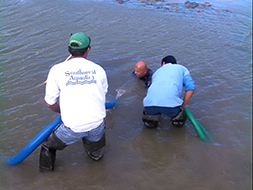 Our goal is to achieve a balanced ecology within each lake and provide our customers with CLEAR water. 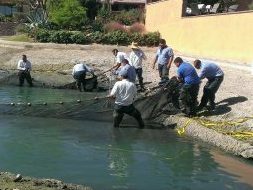 We are responsible for the management of nearly one thousand lakes at the most exclusive properties in Southern California. We would be thrilled to add your lake(s) to our long list of satisfied customers. 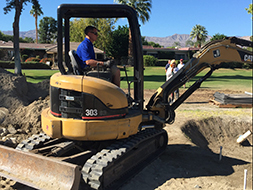 We have been servicing lakes in the Coachella Valley for over thirty five years; we guarantee satisfaction and have a reliable group of over 30 employees to care for your water features. 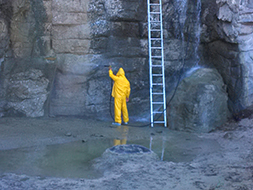 Please explore our site and feel free to contact us with lake or pond needs you may have. C’mon in – the water is great!